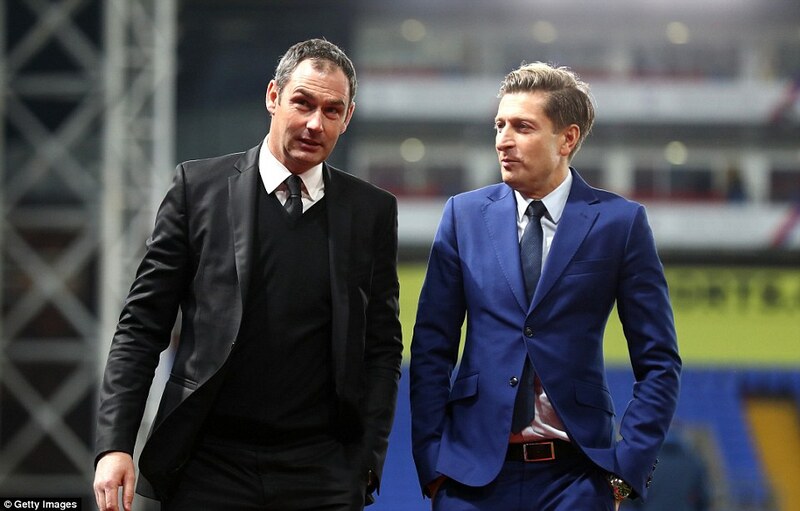 What a golden start for Paul Clement!!! 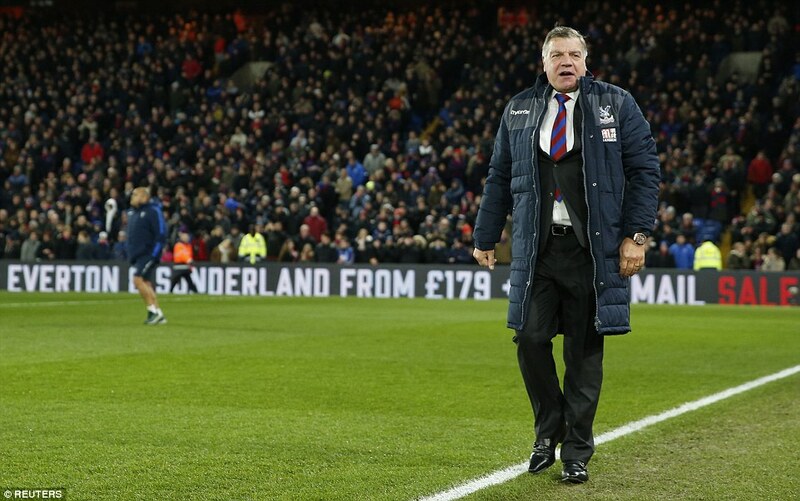 On a night when Swansea recruited the man they hope will fight their fires, Sam Allardyce realised he might just need a bigger bucket if he is to put out the blaze at Crystal Palace. 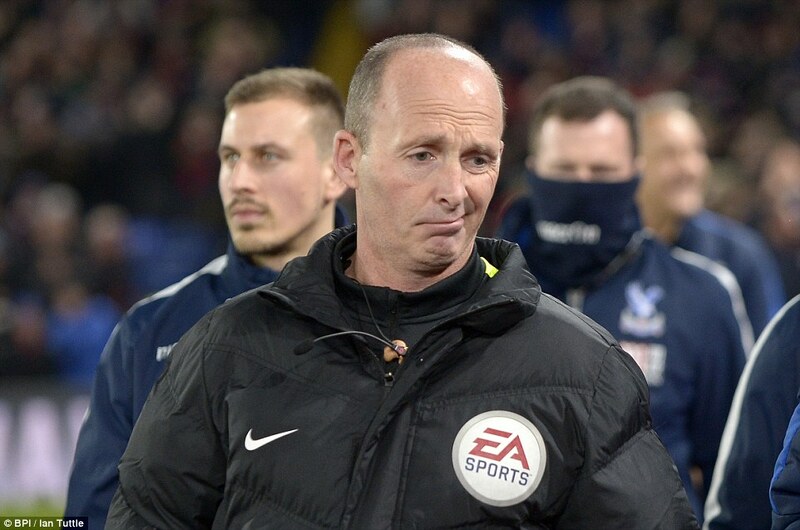 Three games, no wins and a defeat Tuesday night against a side that had appeared to be hopelessly lost at sea. 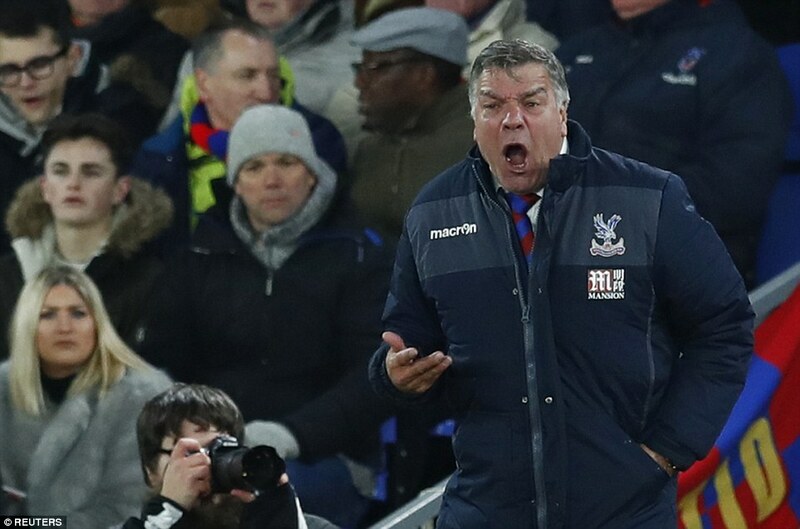 It wasn’t meant to be this way for Allardyce at Palace. But then Swansea weren’t meant to suddenly awaken, not yet anyway. 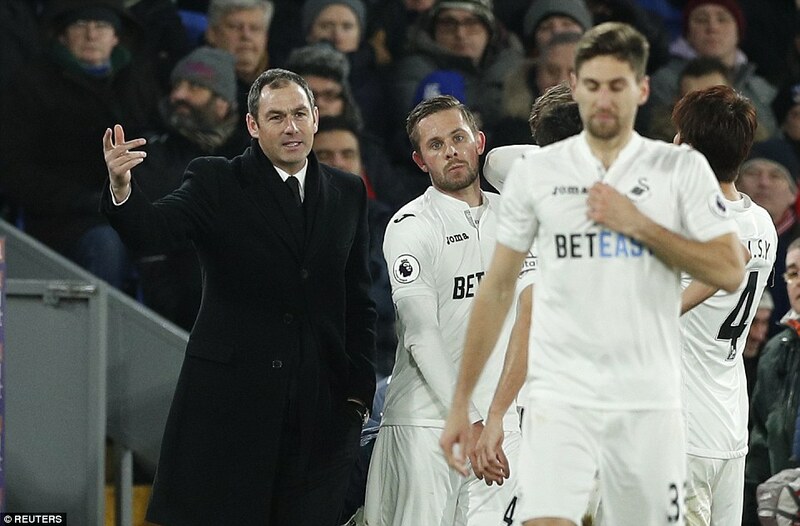 This was, technically, Alan Curtis’s last game as the caretaker — although how curious to see new manager Paul Clement take a place in the dugout just hours after signing a two-and-a-half year deal and moments after Alfie Mawson had headed them in front in the 42nd minute. 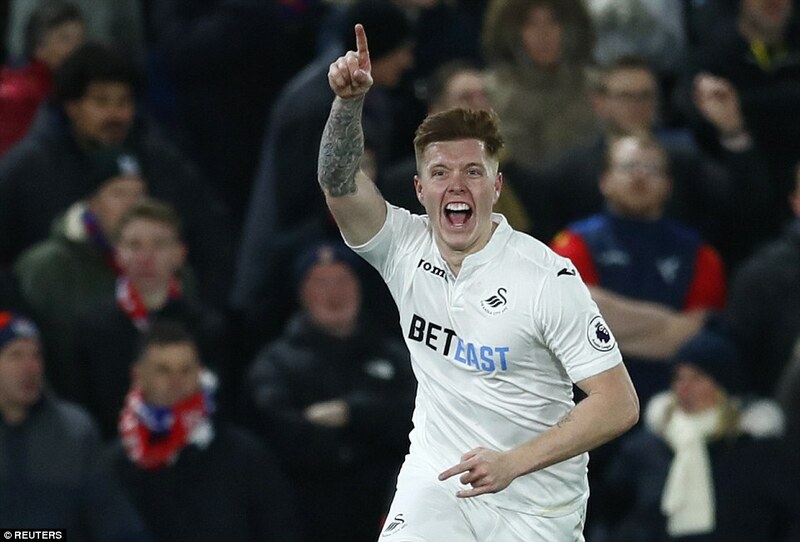 Swansea made dominance pay when Alfie Mawson (No 6) headed in Gylfi Sigurdsson’s free-kick in 42nd minute. 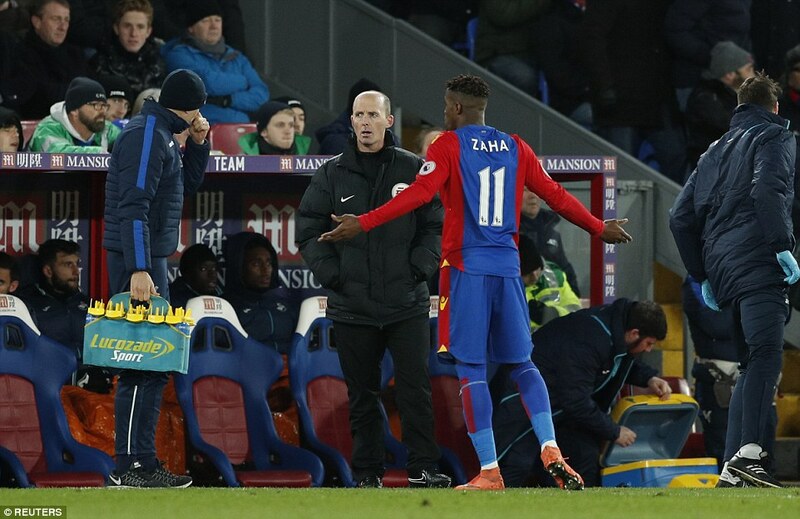 Clement returned there in the second half as well, watching a side unrecognisable from the one that had blown the last four games with heavy defeats. 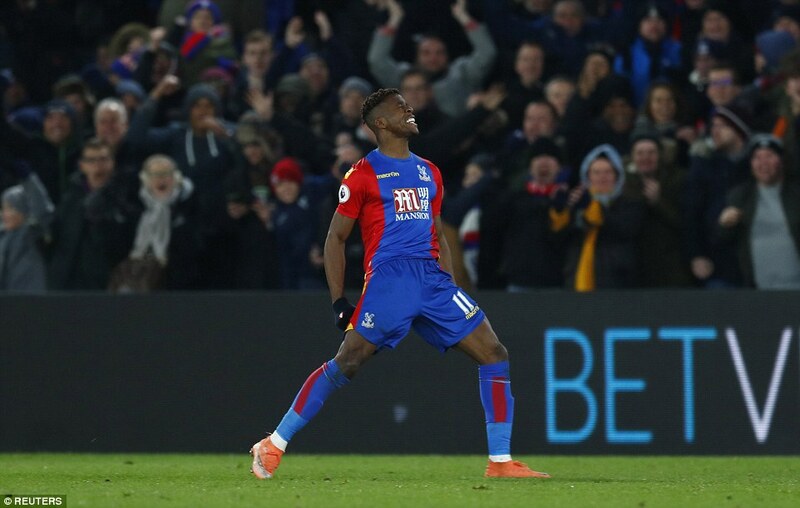 Even when they were pulled back by a quite magnificent bicycle kick in the 83rd minute from Wilfried Zaha, they looked so much better than normal. But the climax? 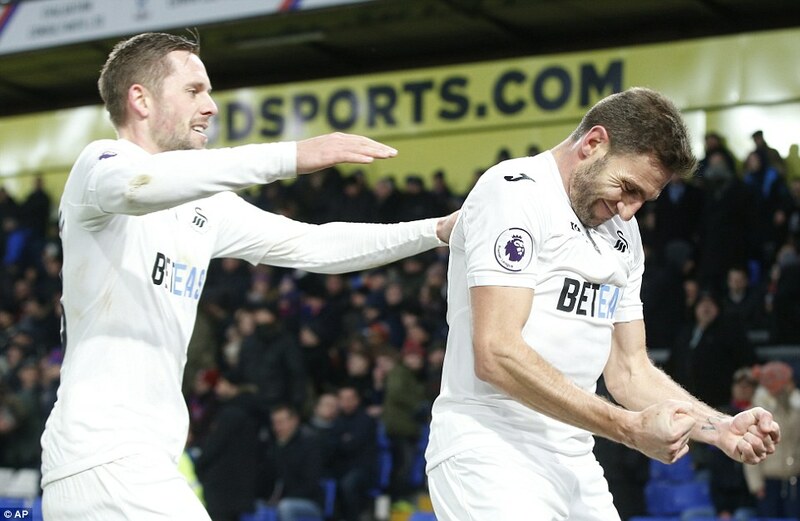 No-one saw that, with Angel Rangel smashing the winner via his half-volley a minute before the end. Perhaps leaving Bayern Munich won’t be so bad after all for Clement. 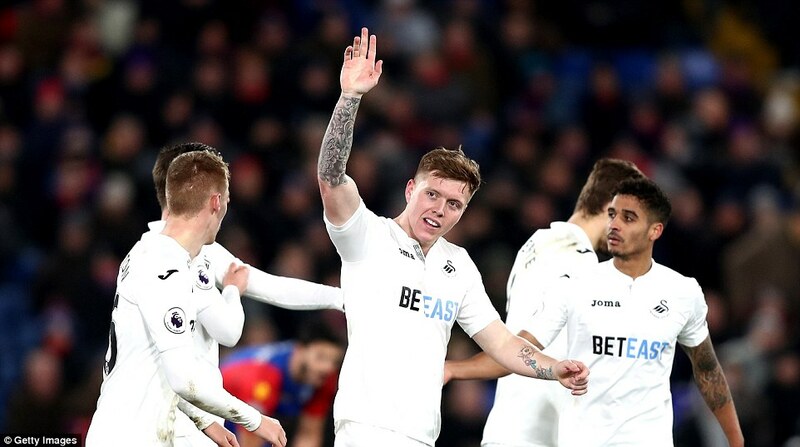 Curtis, with his final roll of the dice, made four changes in search of some kind of solution, bringing in Federico Fernandez, Jack Cork, Jay Fulton and Wayne Routledge and axing Jordi Amat, Leroy Fer, Leon Britton and Nathan Dyer. 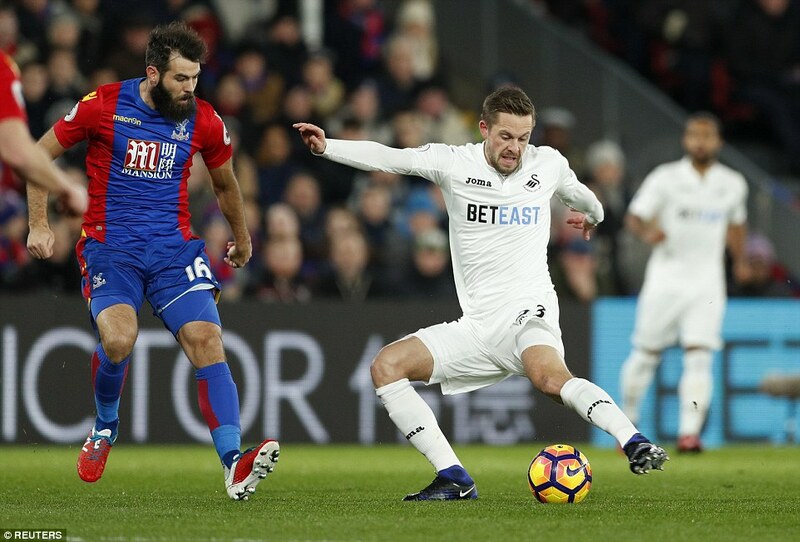 Allardyce, meanwhile, recalled Damien Delaney to his defence and inserted Joe Ledley just in front as Scott Dann and Mathieu Flamini made way. 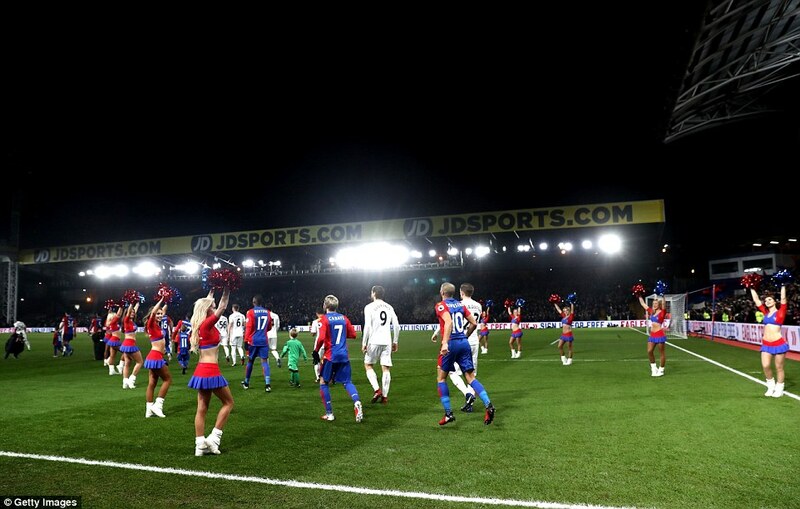 Palace’s problems haven’t been nearly as pronounced as Swansea’s, but they leak goals in the most stupefying ways. 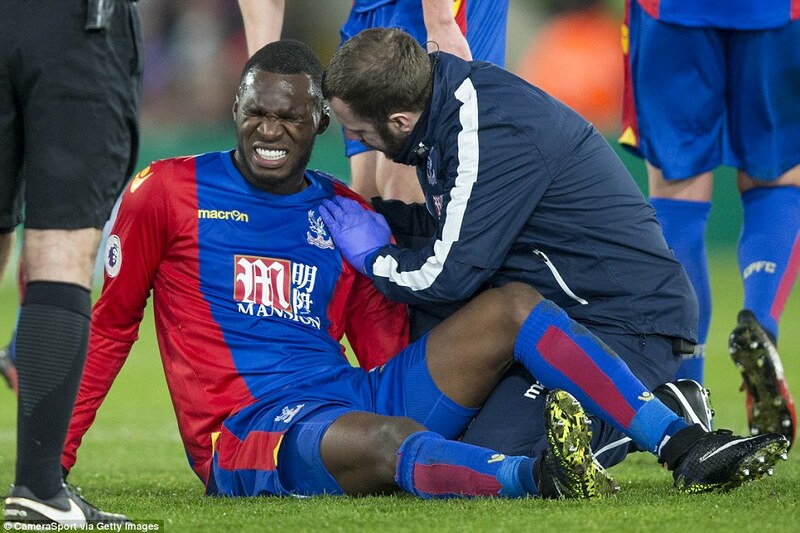 Swansea’s 5-4 win in the previous fixture between these sides showed as much in all its gory detail. 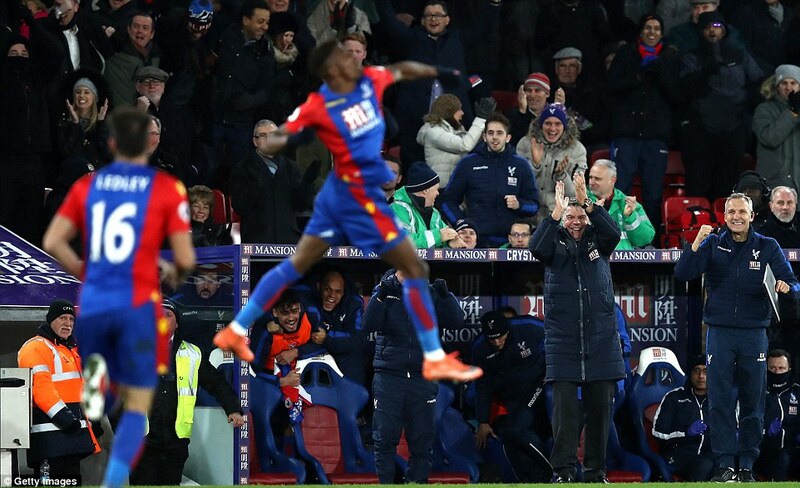 This game was a more subtle exhibition of the same point, with Palace coughing up three good chances in the opening 17 minutes alone. In the first instance, Kyle Naughton bounced off two weak challenges and crossed for Fernando Llorente. 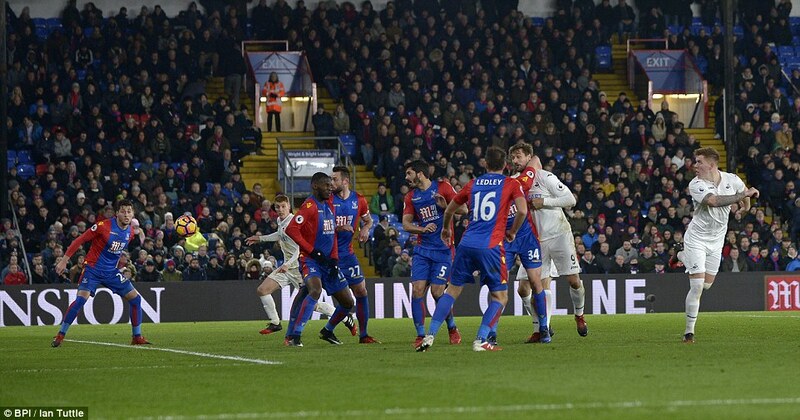 James Tomkins and Martin Kelly made a hash of marking the same man as the header went wide. 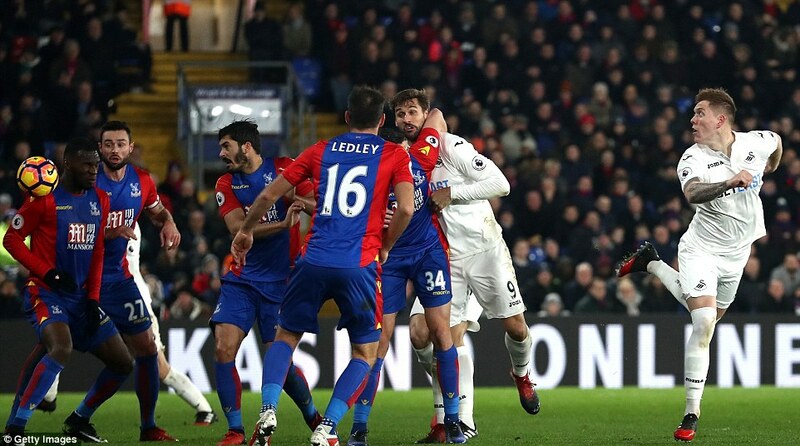 Allardyce looked like a manager who has seen more than enough of the same weakness, while Clement must have sensed that in Llorente — a World Cup winning striker — he might just have a puncher’s chance. 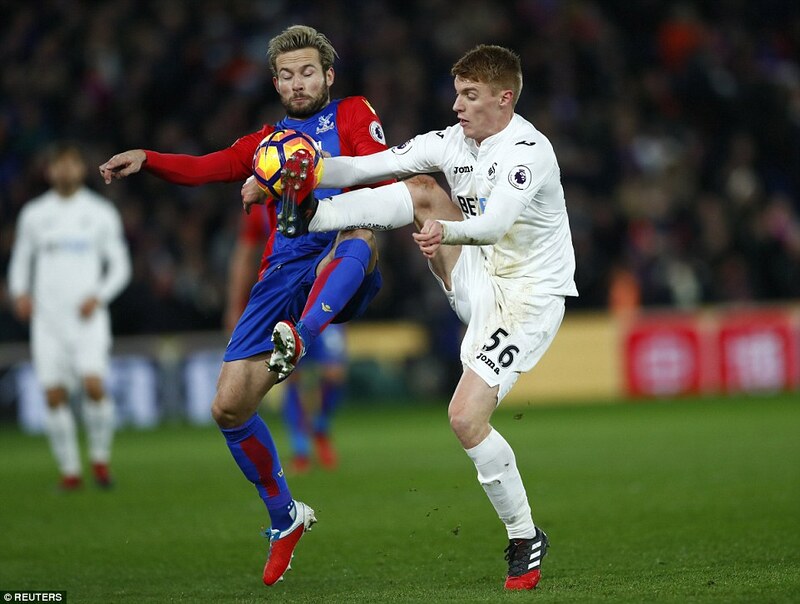 It was the Spaniard who made the second chance, leading a counter-attack to the edge of Palace’s area, then seeing Ki Sung-Yueng to his left and Jack Cork to his right. The home defence? Scattered in the wind, evidently. 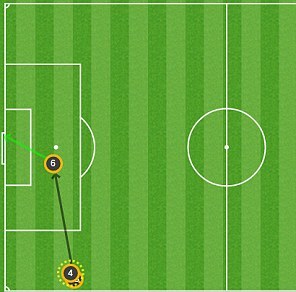 Llorente slid his pass out to Cork, but a poor touch led to a snatched shot. 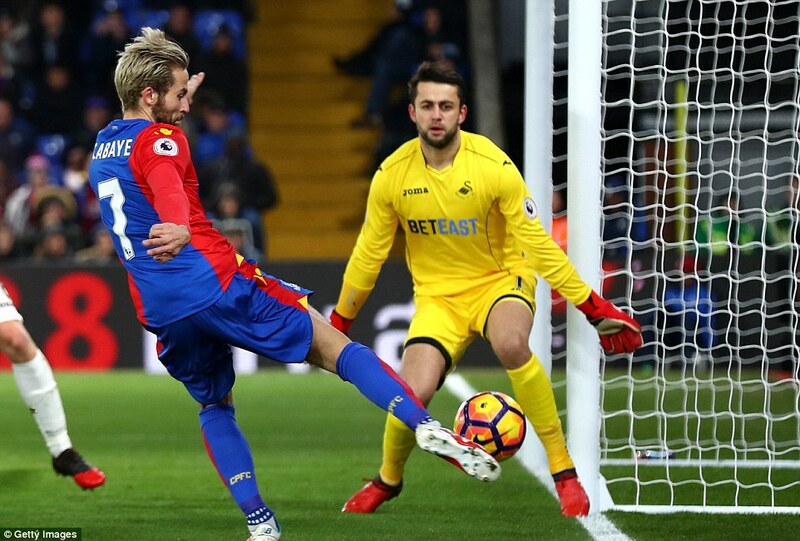 Wayne Hennessey conceded a corner in making his save from which some more questionable marking allowed Ki a shot from 10 yards. 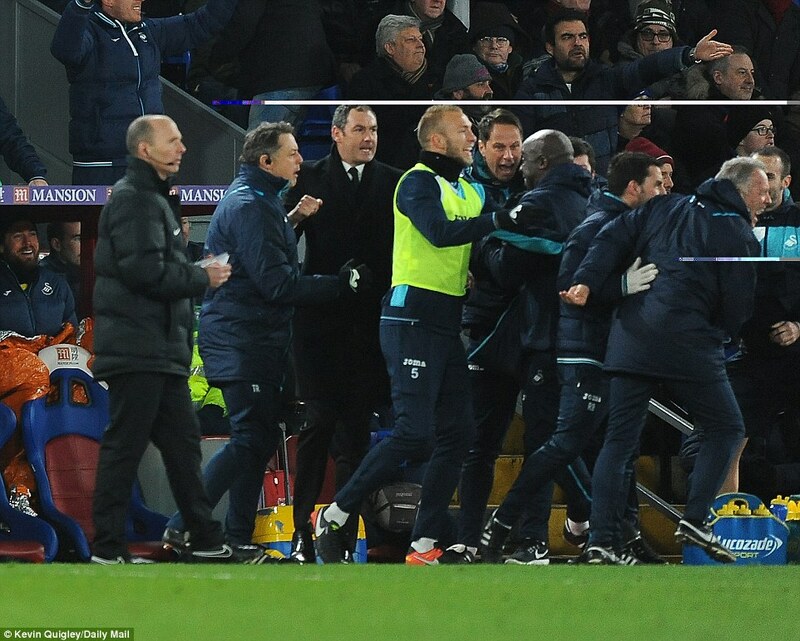 He missed but Allardyce was getting agitated. 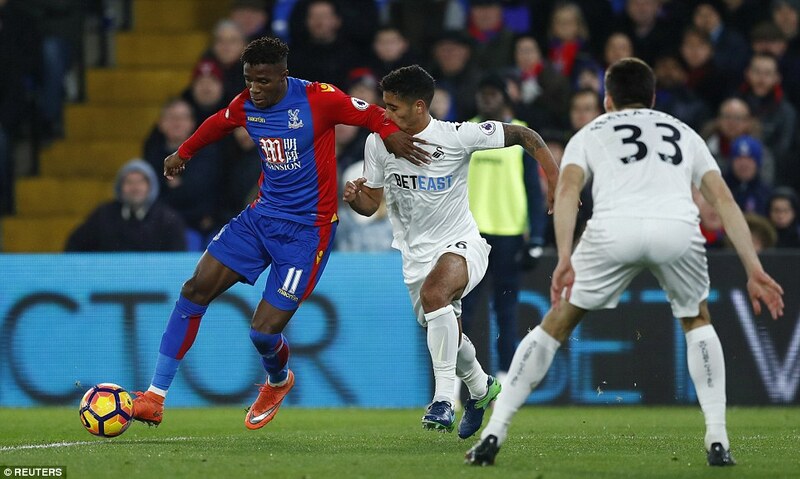 Federico Fernandez and Wayne Routledge then missed Swansea’s fourth and fifth decent openings of the half before a blunder from the former allowed Christian Benteke to reach a long punt from Hennessey. 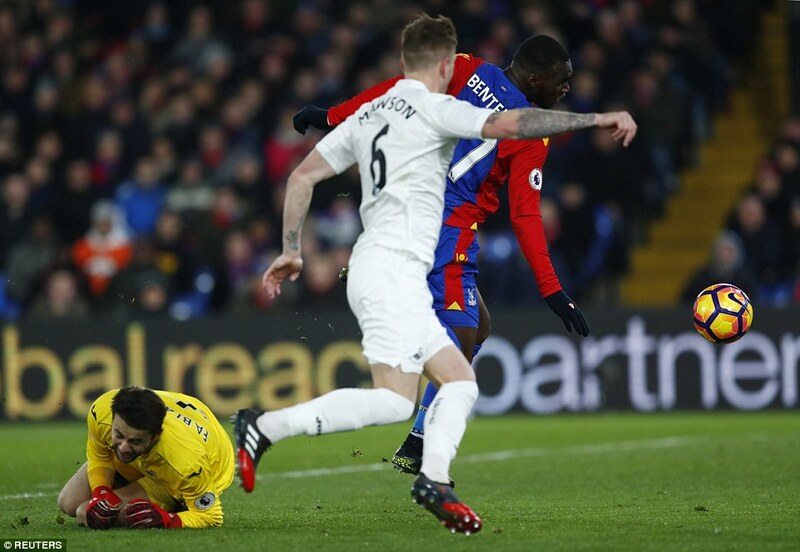 His touch took him past Lukasz Fabianski and the goalkeeper appeared to trip the Belgian. No penalty was given. 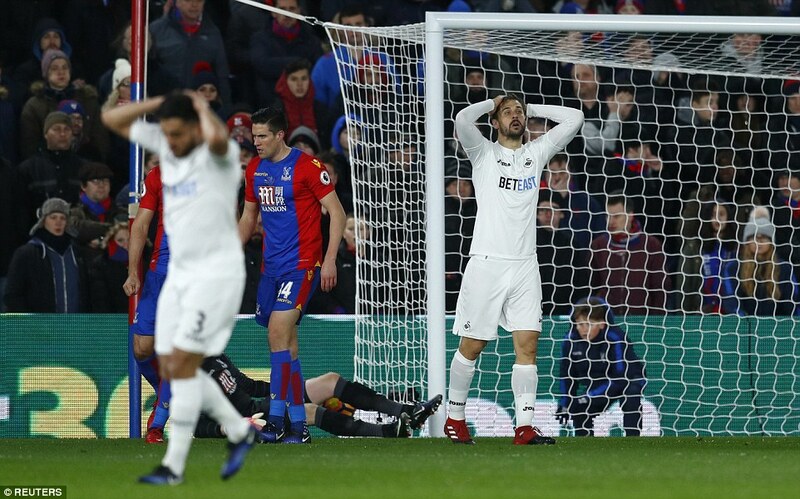 Palace raged — and with good reason — then rage turned to despair as Mawson headed Swansea ahead after 42 minutes, meeting a Gylfi Sigurdsson free kick for his first goal for the club. 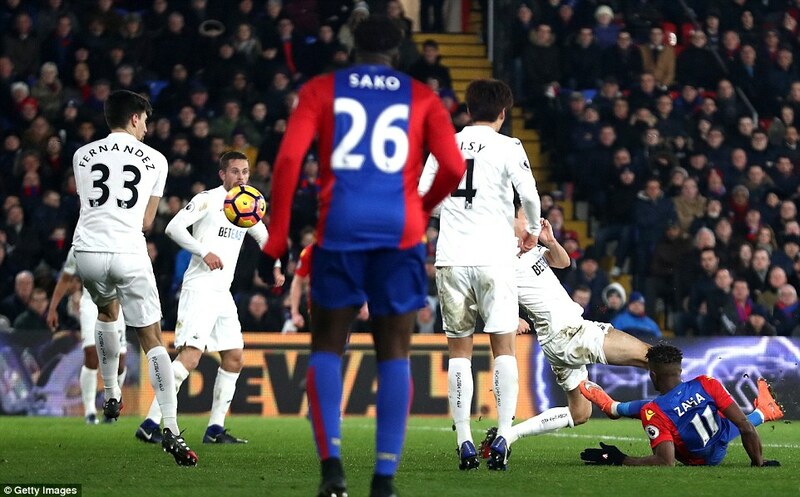 Another Palace goal conceded to a set-piece; a rare instance of Swansea leading a game. 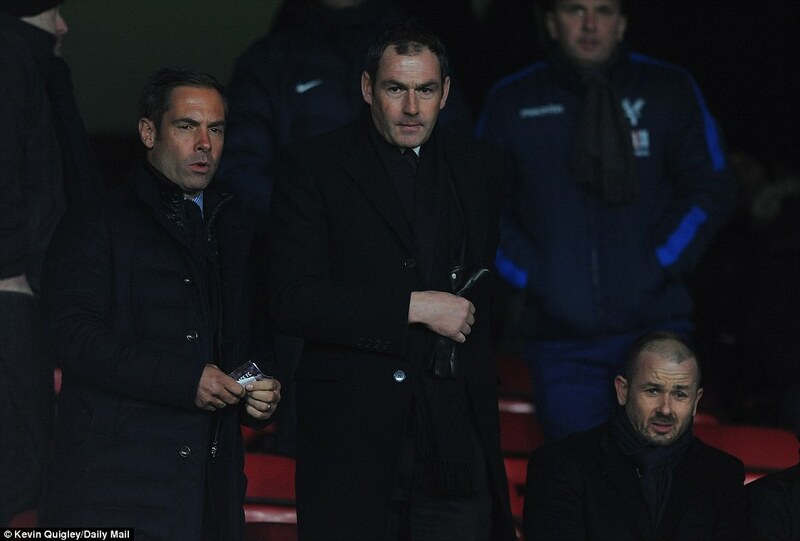 Clement responded by sitting in the dugout and then joined Curtis in the changing room for the half-time team-talk. 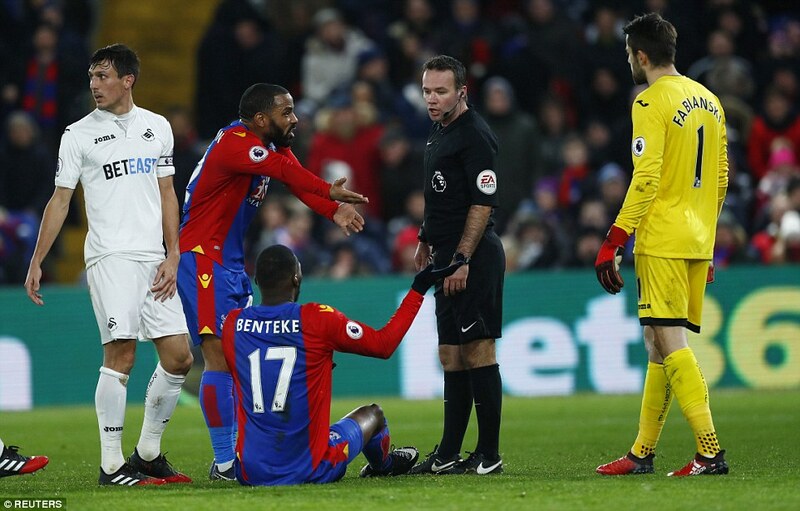 Across the corridor Allardyce hauled off Benteke and brought on Fraizer Campbell, before introducing Bakary Sako early in the half. 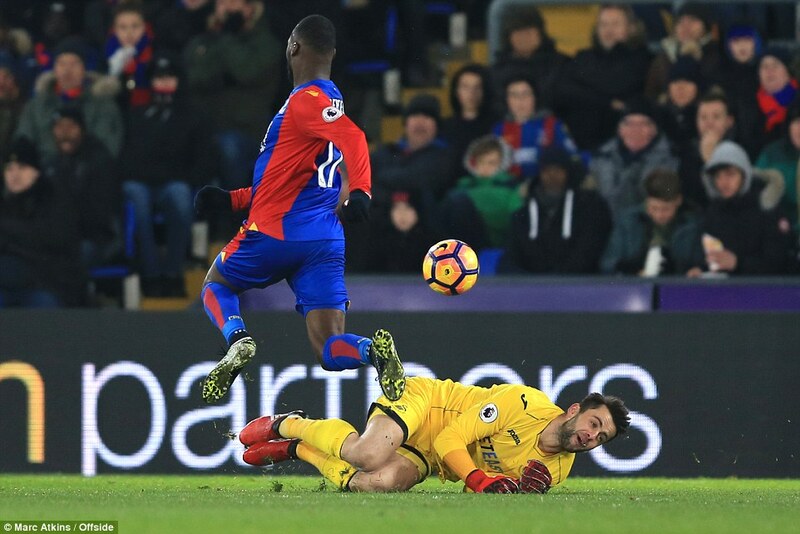 The latter’s free-kick forced evasive action from Fabianski and from there Palace tightened their grip. 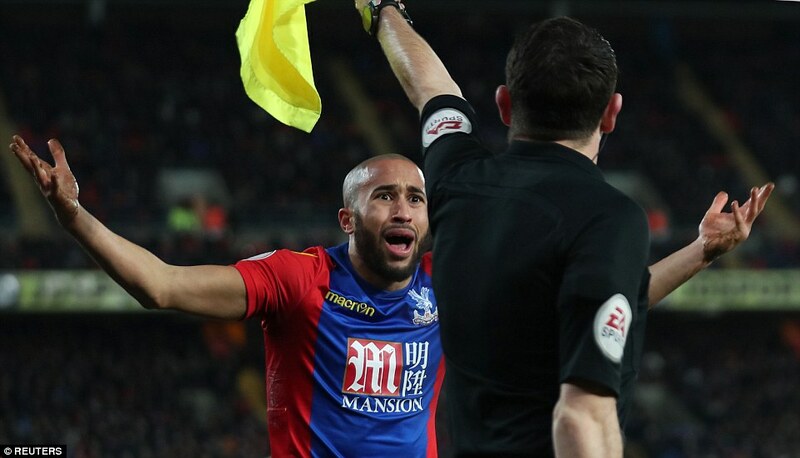 They pressured Swansea, launched high and low balls at a defence notorious for buckling. 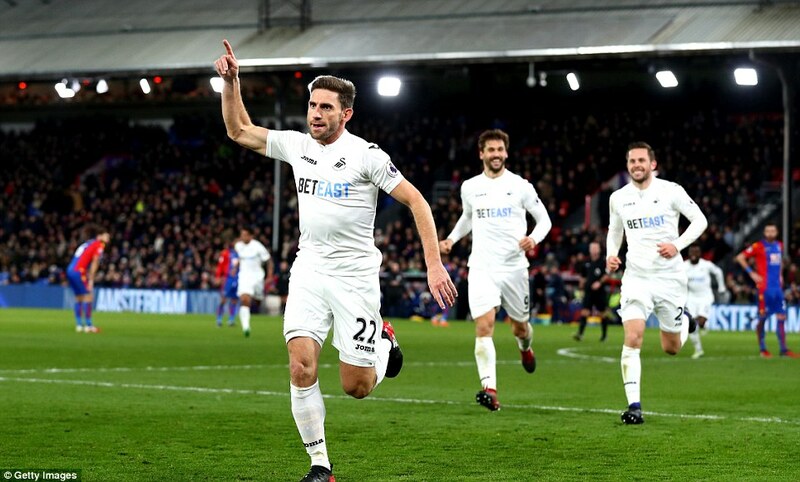 Zaha scored with his stunning strike but Swansea refused to give up and Rangel grabbed the winner — which must give Clement enormous hope. And Allardyce? A different set of feelings altogether.